Sportsman will take the place of the originally Scheduled Street Stock Class next Saturday, May 9th. Roberts took the lead on lap 11 then had to hold back a late race challenge by Owens. 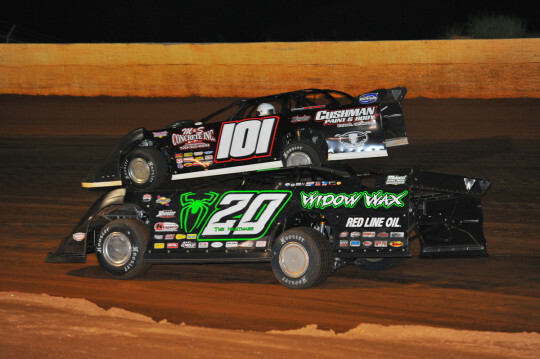 The weather plagued Spring Nationals series was finally able to race on Saturday night at Smoky Mountain Speedway after a multitude of postponements over the past few weeks at a locations from Georgia to Kentucky. And after braving a prediction from local forecasters that another wash out was eminent, the Ray Cook promoted mini-series paid Georgia’s Casey Roberts a winner’s check for $6,000. This event had been rained out earlier in the season and was made up as part of a doubleheader with a Southern All Stars show that ran at the Maryville, Tenn. track on Friday night. Mike Marlar led the way in qualifying when he posted a lap of 16.533 seconds around the 4/10 mile clay oval. Also earning spots in the dash race that would set the starting grid’s first two rows were Roberts, Stacy Boles and Tommy Kerr. Roberts earned the pole for the feature by winning the dash ahead of Kerr, Boles and Marlar. Jimmy Owens and Dale McDowell were victorious in the two heat races that were used to set the remainder of the starting lineup for the main event. It would be Kerr who would jump to the early lead when the 50-lap feature got underway. Roberts, Marlar, Boles, McDowell and Owens chased the hometown driver during the early laps on a track that initially favored the top groove. As the early laps clicked off without a caution to slow the action, the front runners found themselves in heavy traffic by the tenth circuit. It was then that Roberts pounced on the opportunity to grab the top spot away from Kerr. The No. 101 machine moved to the front of the pack on lap 11 while at the same time McDowell and Marlar waged a battle for the third position. Owens was also finding his way forward as he employed a lower line than the other competitors. The first caution of the night regrouped the field on lap 19. On the ensuing restart, McDowell wrested the runner-up spot away from Kerr while Owens moved around Marlar to grab fourth. Donald McIntosh and Chris Madden also began to show signs of strength as they moved into the top-10 after starting further back. On lap 22, Marlar attempted to retake fourth from Owens. That move served as the beginning of an eight lap duel that would see the drivers put on an exhibition of skill as they raced side-by-side without touching each other through every turn and down each straightaway. Ultimately, Owens emerged with the position. Meanwhile, Roberts continued to lead with McDowell trailing. Early front runner Kerr brought out a lap 42 yellow flag when he had a tire to blow out on the front straightaway. His car had been fading while that of his teammate, McIntosh, had been on the move. The No. 7 machine had passed by both Marlar and Owens to take the third position just before the caution. However, the young driver bobbled in turn two on the restart and gave up several spots in the process. On that same restart Owens jumped up to second and suddenly looked like a threat to challenge Roberts for the win. Another caution on lap 44 provided one last chance for the field ruin Roberts’ evening, but it was not to be as he separated himself from the pack during the closing laps to take the checkered flag. 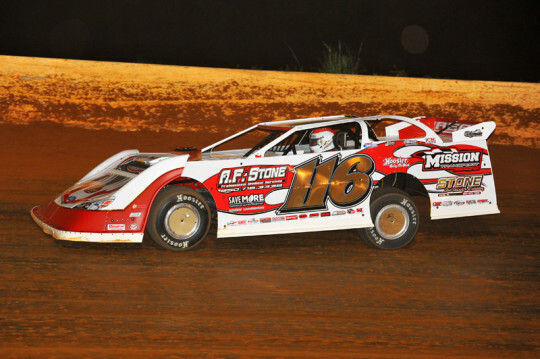 Randy Weaver came into Friday night’s Southern All Stars event at Smoky Mountain Speedway sporting a perfect five-for-five record in the Dirt Late Model races he had entered so far in 2015. That record now stands at six-for-six after a dominating performance that netted the Crossville, Tenn. driver $5,000 on the the first night of a scheduled doubleheader weekend at the Maryville, Tenn. facility. Weaver began the night on both a positive and negative note when he ripped off the fastest time in Group A qualifying and overall by posting a lap of 15.318 seconds around the 4/10 mile clay oval. However, the No. 116 machine tagged the outside wall in turn one on its second circuit, causing minor damage to the right rear of the car. 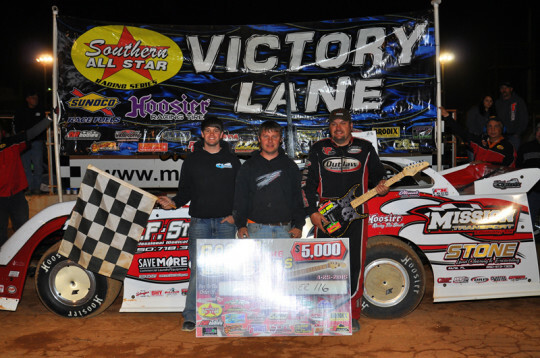 Also locking into the feature from that group were Dale McDowell, Chad Ogle, Mark Douglas and Skylar Marlar. Mike Marlar led the way in Group B qualifying when he turned a lap of 15.522 seconds. Joining him in earning guaranteed starting spot in the feature from that group were Casey Roberts, Skip Arp, Stacy Boles and Billy Ogle, Jr.
Blount Motorsports drivers Tommy Kerr and Donald McIntosh won the two consolation races used to set the remainder of the starting lineup for the main event. From the start of the 40-lap feature it was obvious that Weaver had the car to beat. Despite and number of early cautions, the Longhorn Chassis driver was able to continuously jump out to big leads at the drop of each green flag. Even on short runs, the red and white machine would build leads of a half straightaway or more in an instant. Meanwhile, however, there was tremendous racing behind the leader as McDowell, Marlar, Roberts and Arp traded positions within the top-5 during the early going. On lap 16, one of those contenders was lost when Arp banged the turn two wall while running in the third spot. At that same time, the 13th starting Chris Madden was making his way up through the field and seized a place in the top-5 after Arp’s misfortune. The top-10 running McIntosh brought out the night’s final yellow flag on lap 25 when he encountered the turn one wall and came to a stop on the track. During the second half of the feature, Marlar and Madden tried to make the bottom groove work on a track that had been top-side dominant for much of the night. Their efforts would pay off to some degree as Marlar took third away from Roberts with fewer than ten laps remaining. No one ever seriously threatened Weaver over the closing laps as he cruised to his third consecutive Southern All Stars win in the process. 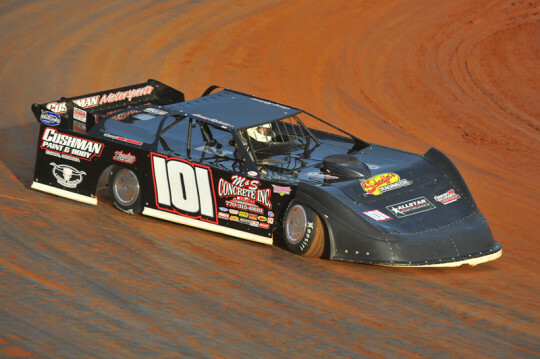 Smoky Mountain Speedway is set to host the Ray Cook promoted Spring Nationals on Saturday night in a $6,000-to-win race. SATURDAY APRIL 25- WE ARE RACING!! ALL GATES ARE OPEN NOW! Beautiful Day at SMS, be sure to join us for Ray Vooks Spring Nationals “Tennessee Tipoff Classic” $6,000 to win. Crates and Street Stocks also on tap this evening!! Pits, Grandstands, and Tier are all open! !